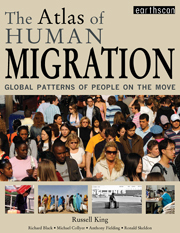 Migration is a key issue of our times. Nations with long and noble traditions of accepting displaced and dispossessed people are questioning whether they should continue to make room for asylum seekers. At the same time, the global economy depends, as it has always done, on the flow of skilled and unskilled workers. 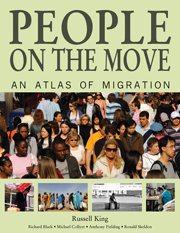 This compelling new atlas maps contemporary migration in its economic, social, cultural and demographic contexts. 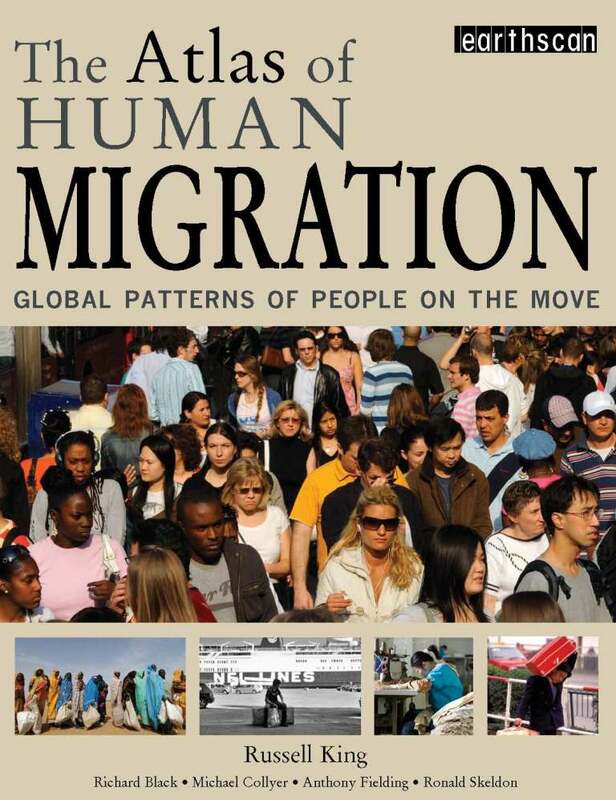 Drawing on the expertise of the Sussex Centre for Migration Research at the University of Sussex, it traces the story of migration from its historical roots through the economic and political imperatives of the last 50 years, to the current causes and effects of global movement. Look inside the book here. Migration, both internal and international, provides millions of people with a possible escape route from poverty or oppression. 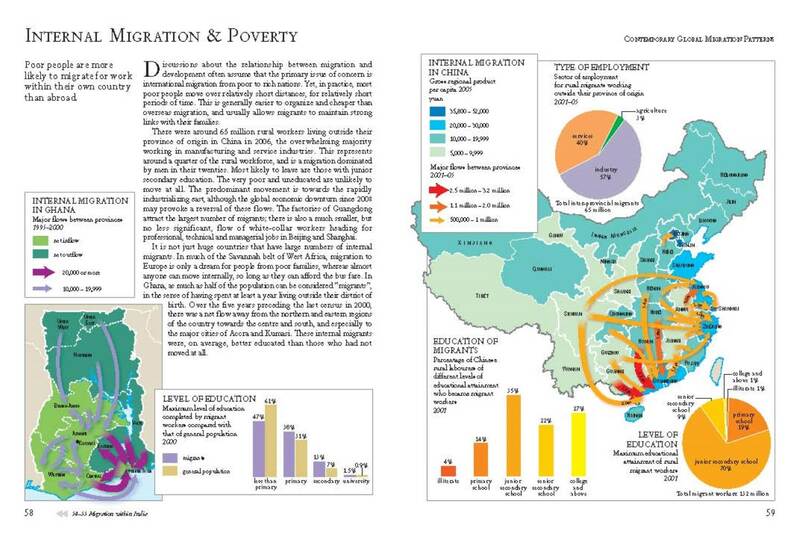 New currents of human migration are appearing all the time – triggered by educational and economic opportunities, but also by persecution and a changing climate. Through full-colour maps, the atlas unravels the complexity of today’s global movement, exploring why, where and how migrations take place. 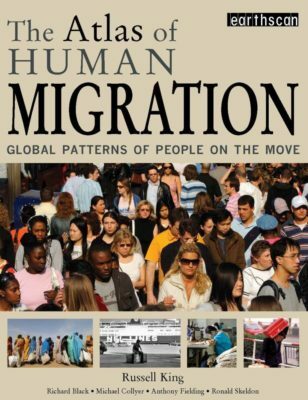 It reveals flows of children, students, would-be spouses, skilled and unskilled workers, their family members, retired people, and those returning to their home country – people of all ages, most of whom are moving in the hope of improving their circumstances. Other flows, perhaps more familiar to us, are of refugees and displaced people, forced from their homes by conflict or environmental disaster. 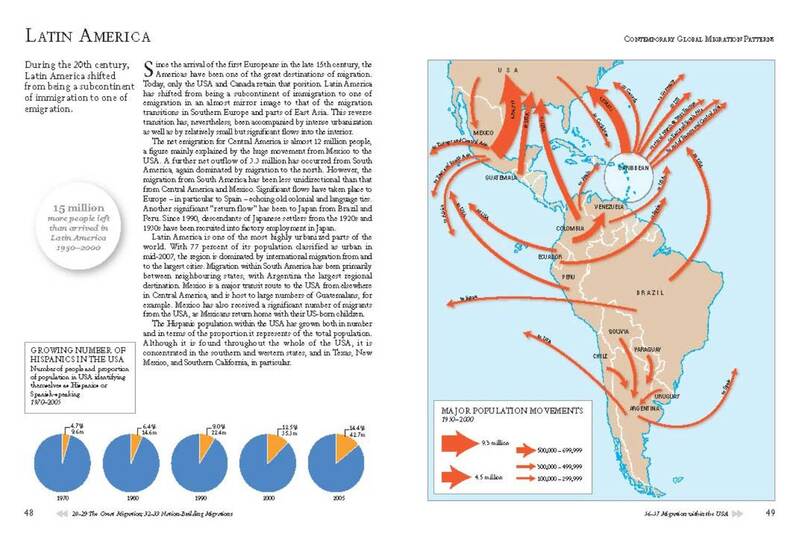 This unique atlas gives shape and meaning to the statistics of population movement, making it an indispensable resource for understanding the world in which we live.